Eubanks Park is a critical link connecting Midtown to Piedmont Park. 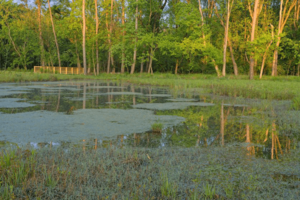 Design and permitting for significant stream restoration, bioretention and conservation led to the naturalization of disturbed riparian buffers, increased storm water storage capacity and the building of now well-loved stream crossings. 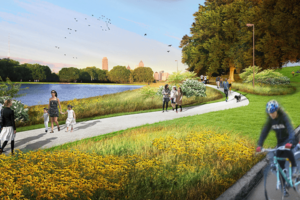 New entrances, paths and trails provide dry access through regenerative park low lands. 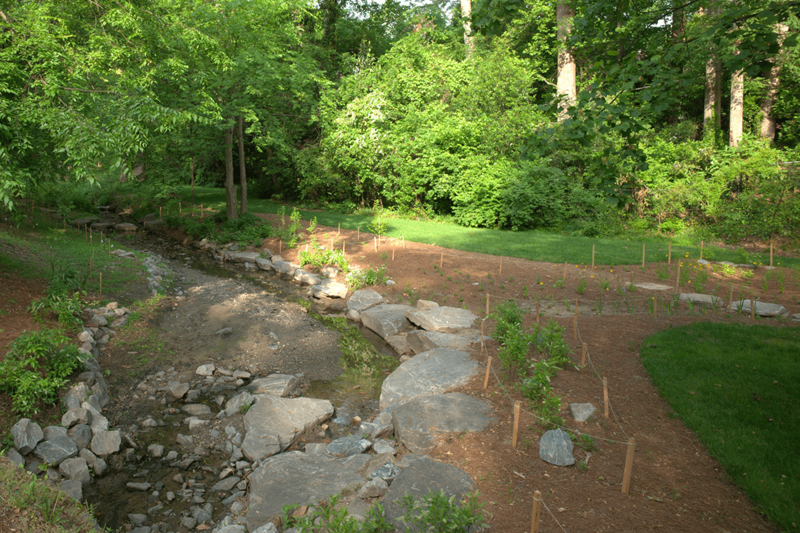 Native riparian plantings and bioretention help clean water and cool air while providing stimulating educational and recreational opportunities for Midtown business people, neighbors and visitors to civic events. 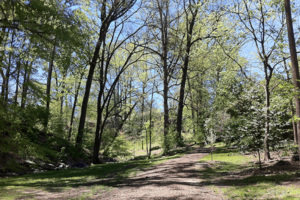 Well drained trails that are structured to allow rainwater ponding and flow underneath, along with new entryways, plantings and grassy meadows, connect Eubanks Park with its tall trees and restored overland stream to Winn Park, the Dell Park, McClatchey Park. Bluebirds, Coopers Hawks, Goldfinches and Mallards live beside people who inhabit Eubanks Park. Walking under the towering Yellow Poplar Trees that are characteristic in Eubanks Park is a dramatic and beautiful experience. Native grasses, sedges and wildflowers are tough and colorful, establish and reseed readily and are attractive all year in a wild and interesting way as urban bioretention plantings. Specified trees, shrubs and ground layer plantings for riparian buffers, bioretention and park plantings are low maintenance natives at Eubanks Park.